Clinical Physicists are responsible for programming the speech processor. 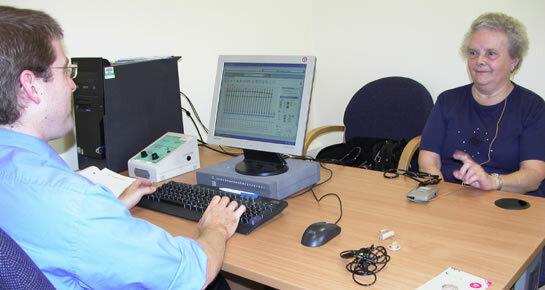 After fitting, each electrode is individually tested and activated by appropriate electrical stimuli (psychophysics). Stimulation parameters are optimised and an appropriate processing strategy applied to elicit a meaningful sound sensation. This information is programmed into the speech processor. Changes in these parameters can affect sound quality or overall speech perception performance. Programming also requires active participation by the implantee. Each individual has a unique programme which best suits their needs and optimises their performance.